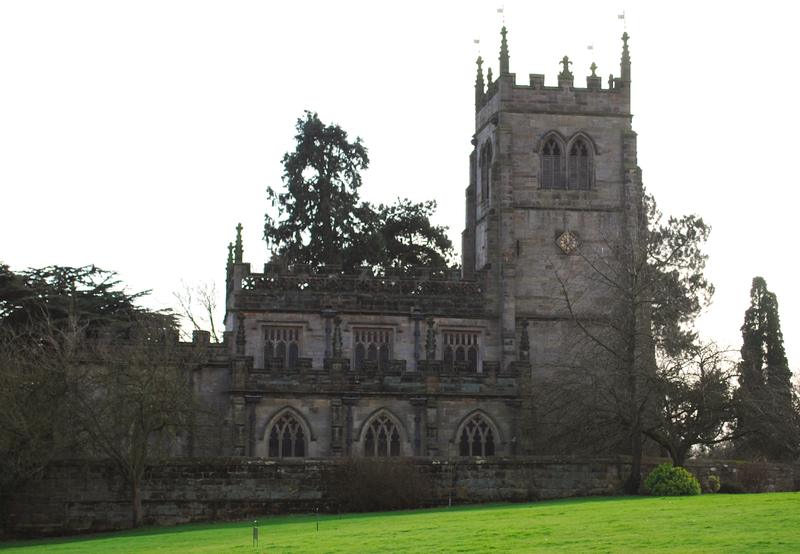 Located in the estate of Staunton Harold is the Gothic Chapel of the Holy Trinity. The church was built from 1662 and was completed in 1665. Grade I listed, the chapel is unique as being one of the few surviving churches built between the outbreak of the English Civil War and the Restoration period. The chapel features a west doorway (above left) which is Baroque and richly decorated. 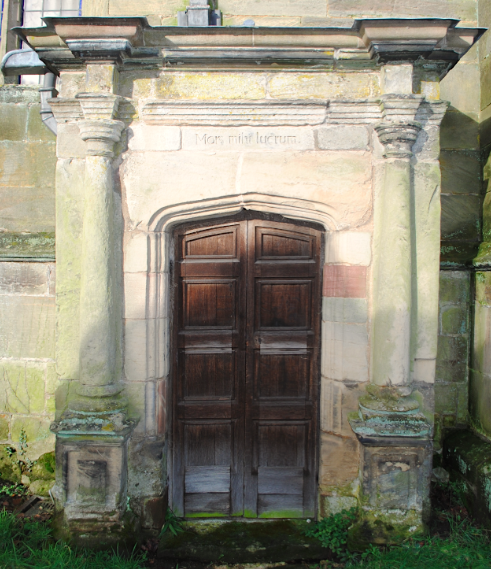 It has the Shirley family Arms and an inscription relating to Sir Robert Shirley for whom the chapel was built. 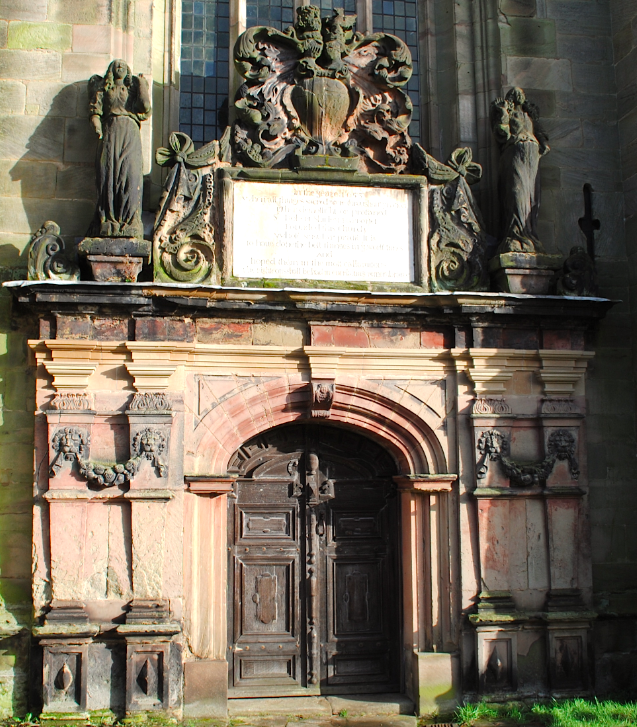 “Mors mihi lucrum” is inscribed above the doorway (above right) meaning “Death is my reward”.